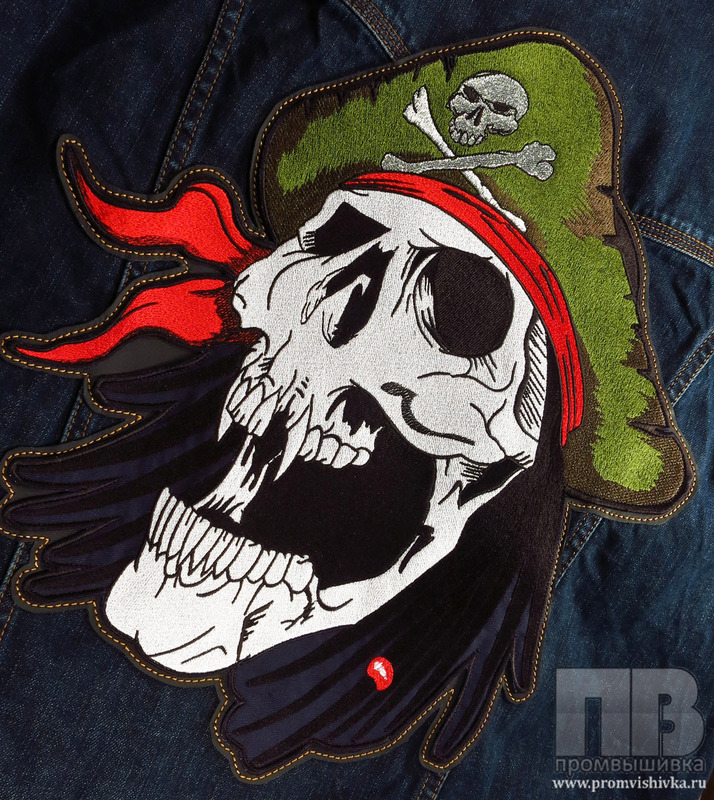 We do machine embroidery and embroidered patches with your design. 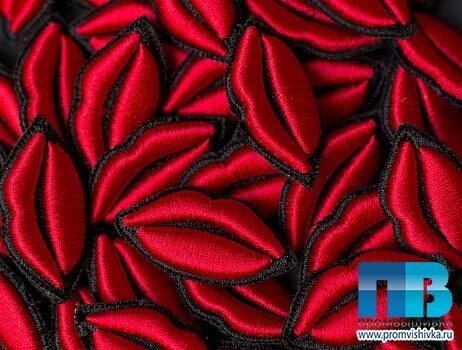 We can produce any quantity, from one piece to thousands. 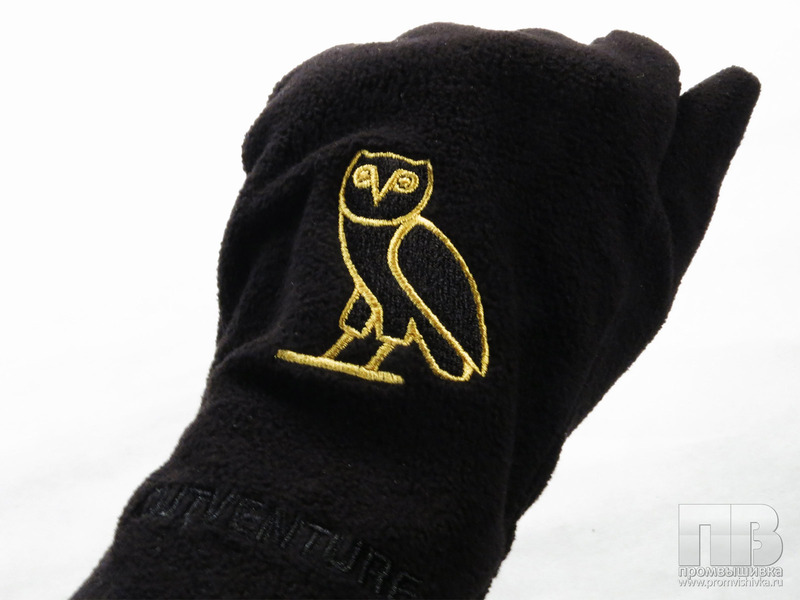 We specialize in custom embroidered apparel, embroidered hats, shoes, accessories, finished goods, sewing patters. 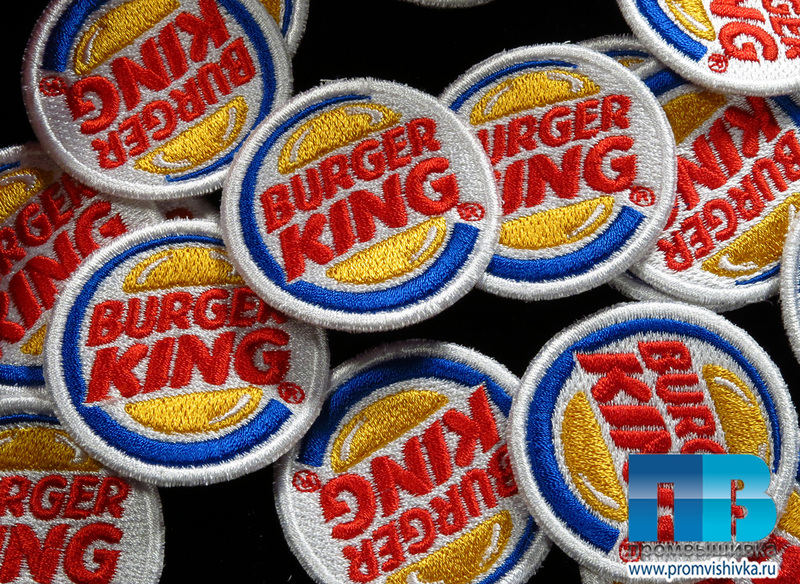 We make embroidered patches and chevrons, patches with magnetic side, embroidered pin buttons. 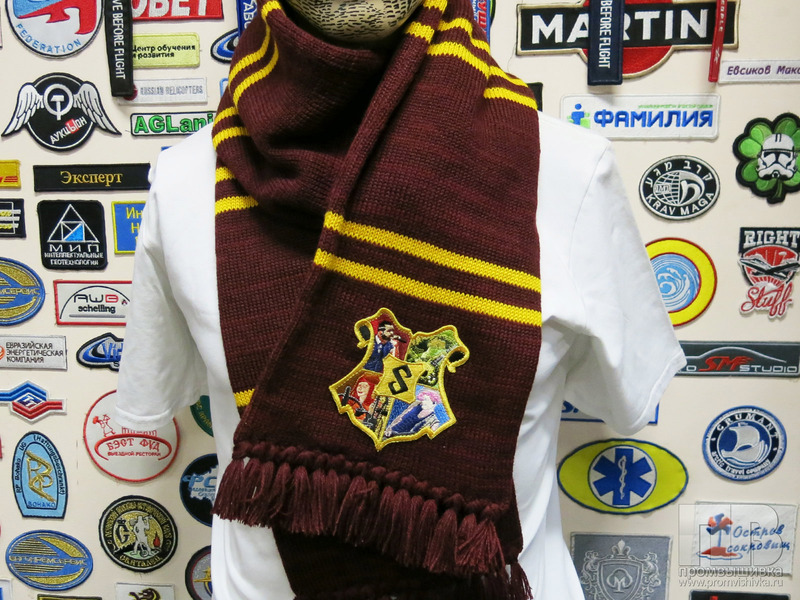 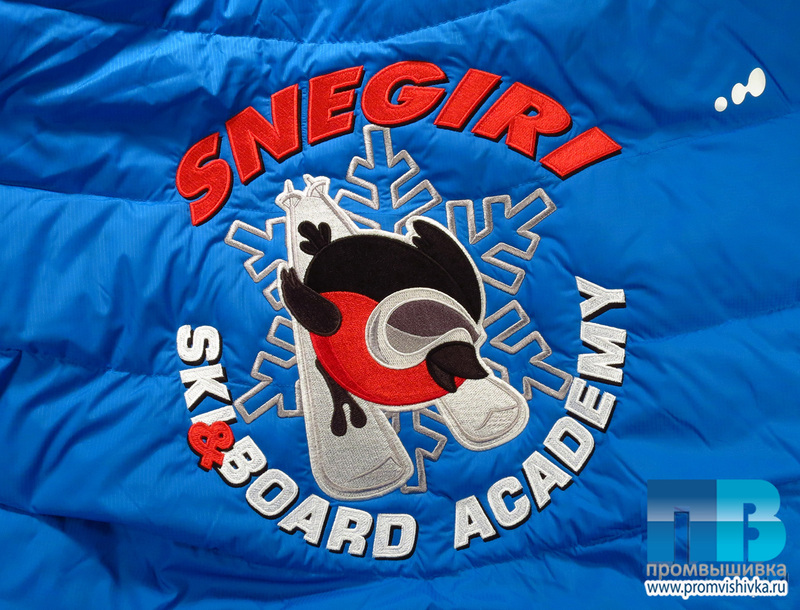 We can provide a large variety of apparel, some garments we can produce. 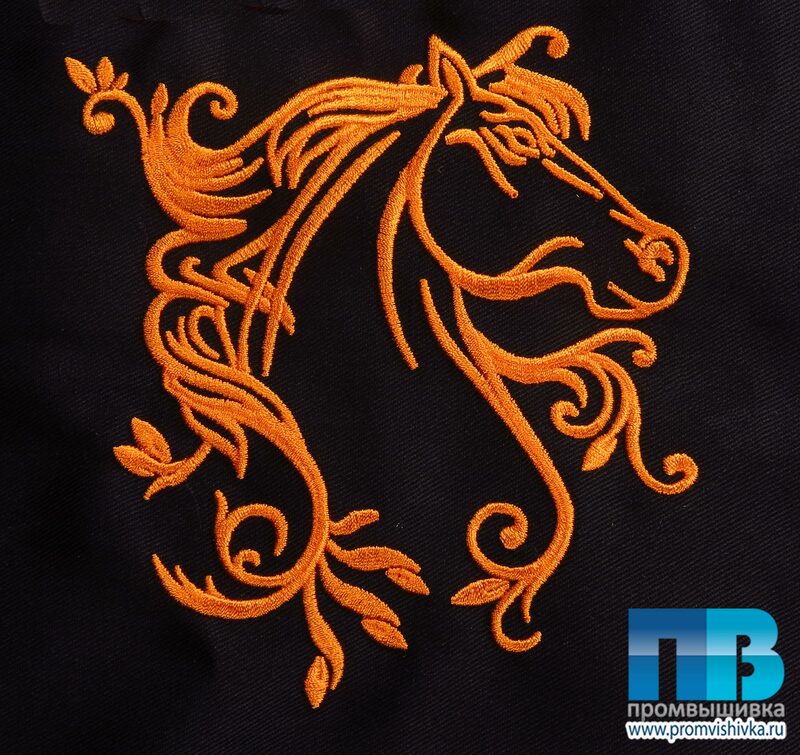 We offer a lot of embroidery services, such as embroidery on cut, different clothes and accessories, interior details and decorations. 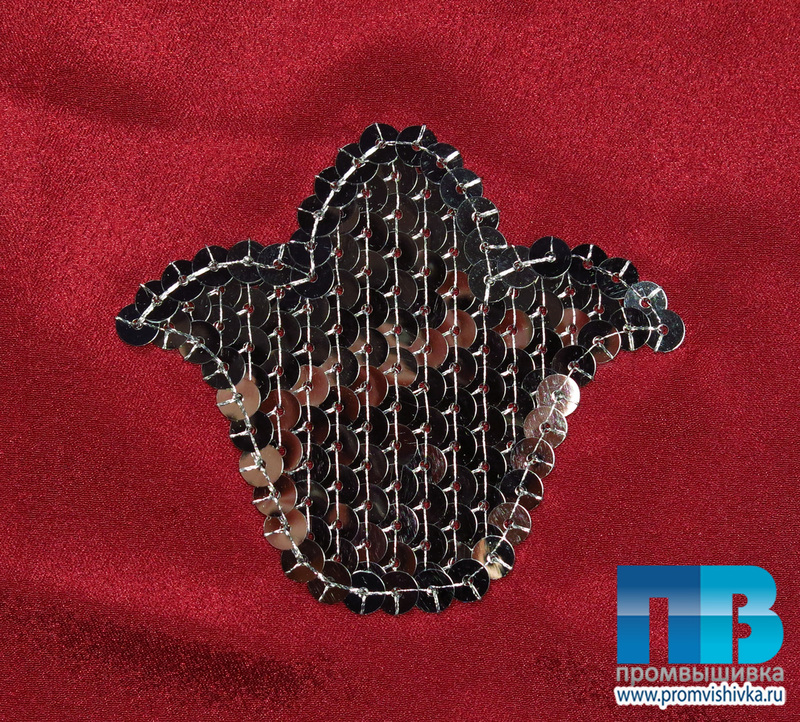 Our embroidery is very qualitative and durable. 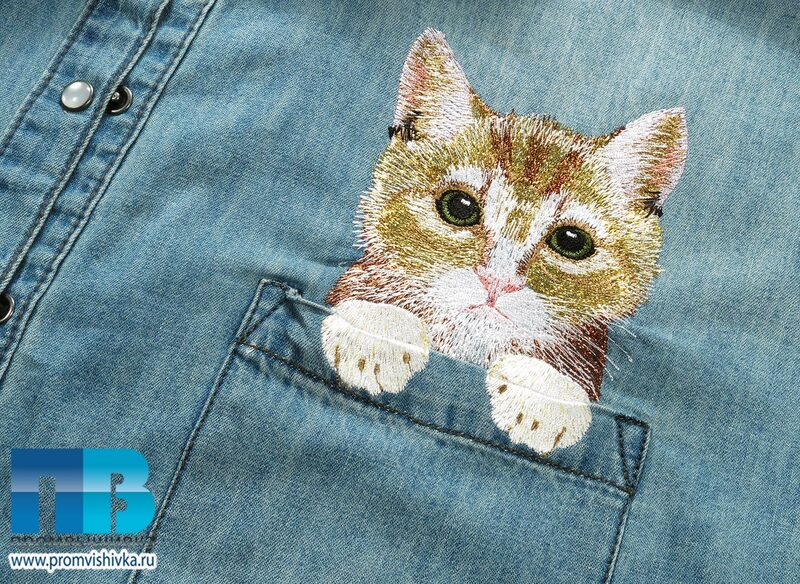 We use only the best materials for our works. 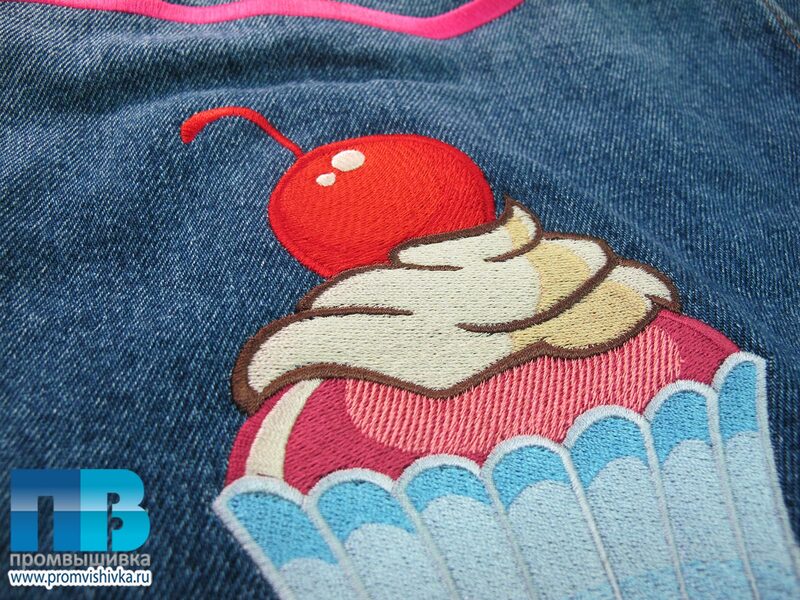 Our digitizers can make true any of your desires, so you will get the the same embroidery you wish. 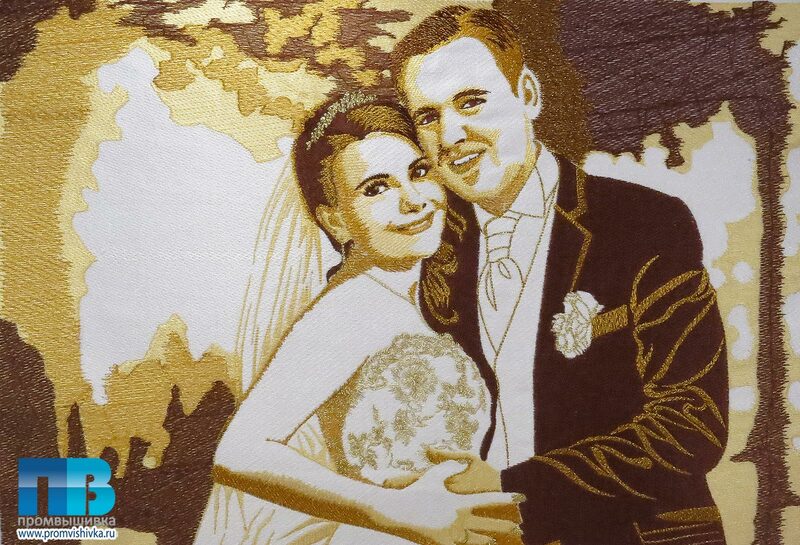 Look at our embroidery photos to make sure, that our works are simply the best you have ever seen. 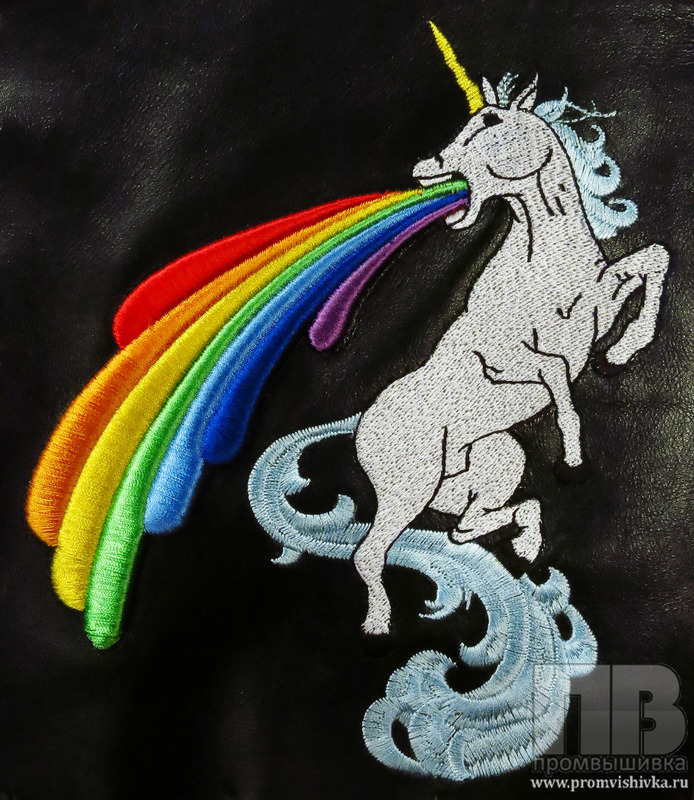 We do custom embroidered polo shirts and t-shirts, shirts, hoodies, cardigans, zip-ups, track jackets, sweaters, coats sportswear, hats, beanie and caps, dresses and skirts, jeans and jackets, aprons and wardrobe, sneakers and slippers, ties and belts, scarfs and gloves. 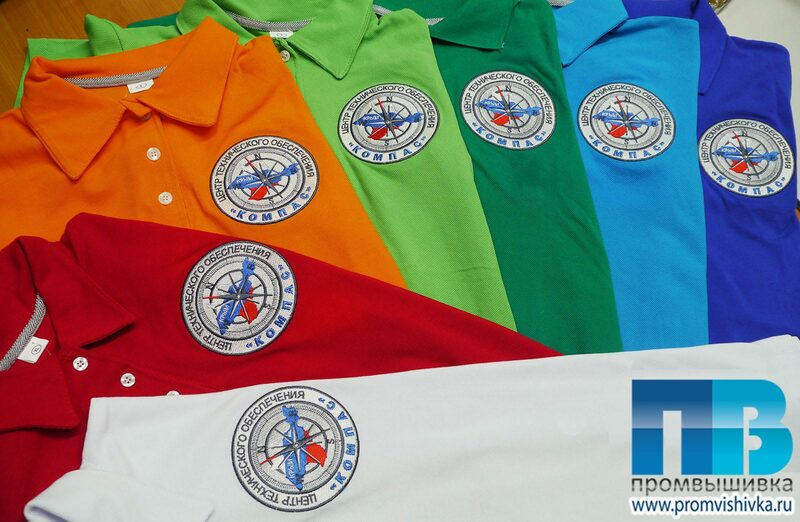 Corporate logo apparel is good for promoting brand awareness. 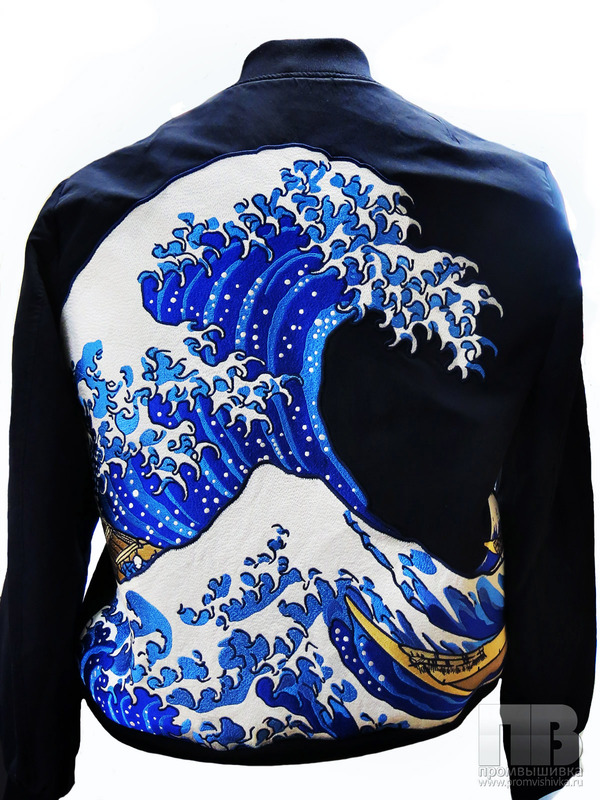 Fashion designers make unique collections with machine embroidery. 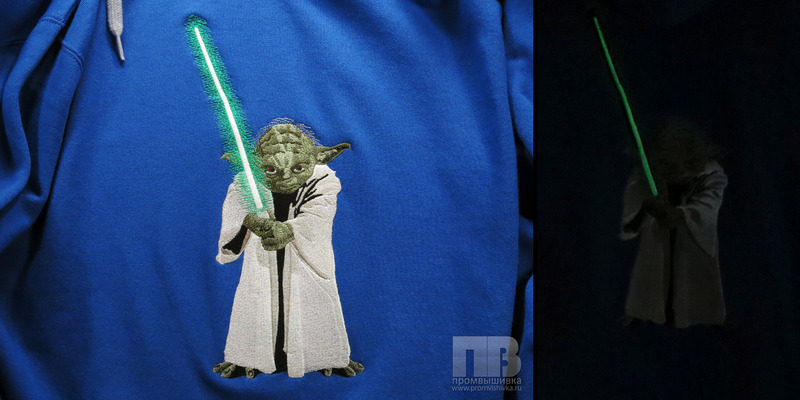 Embroidered team logo raises team spirit to a new level. 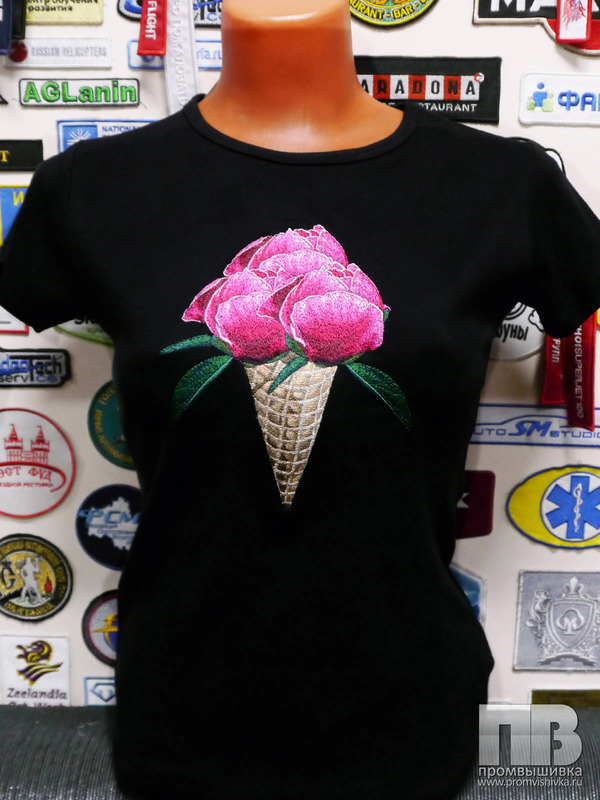 Custom embroidery on garment will help you to stand out or make a wonderful gift. 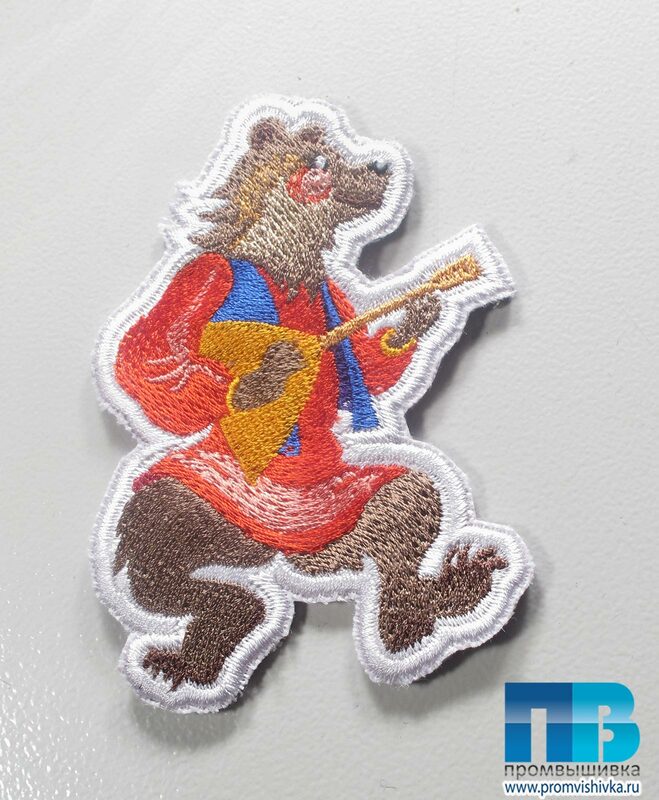 We offer six different ways to put our high quality patches to your garment: sewing, velcro, heat adhesive, button style, magnetic backing, trinket style. 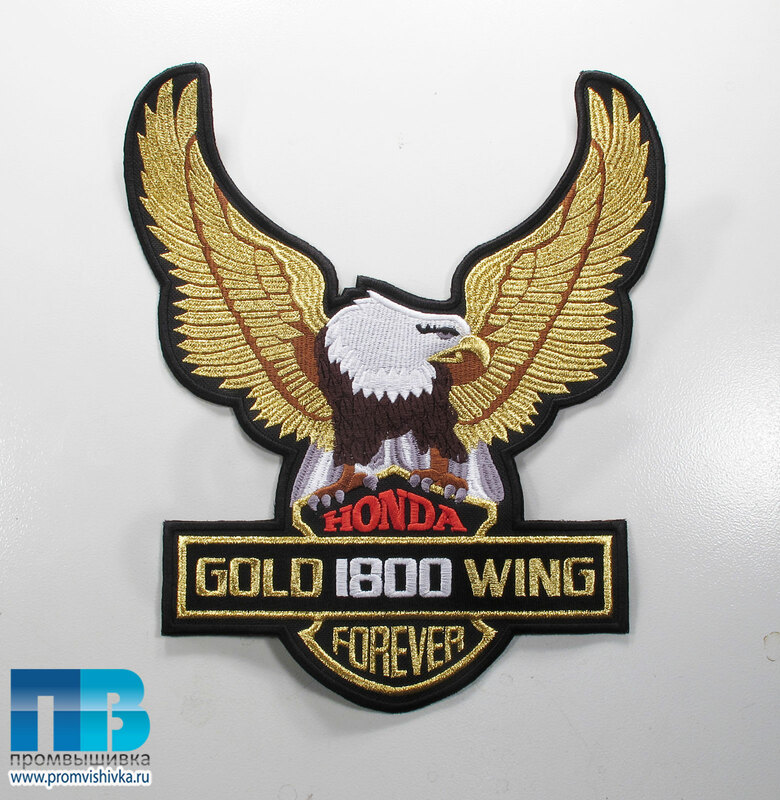 We make patches with a sewn or unshielded background of any shape. 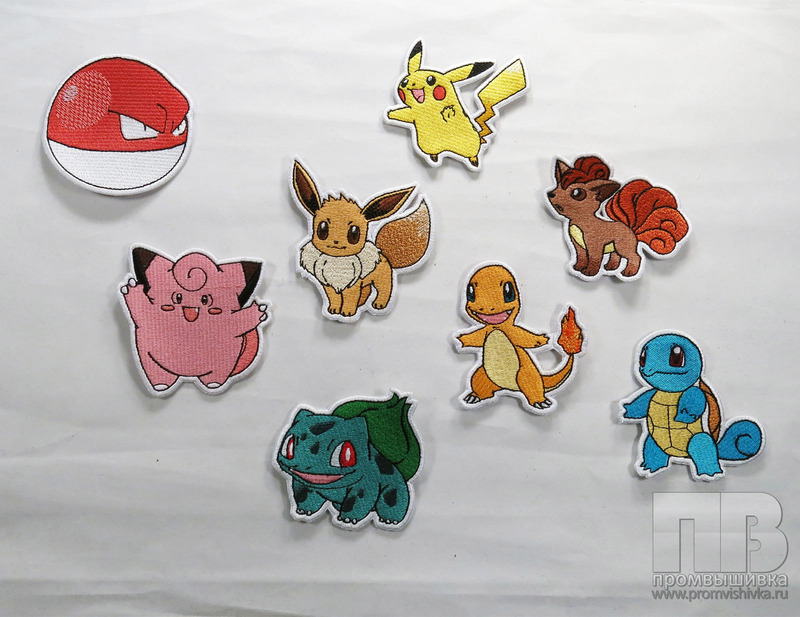 Patches help to create uniform. 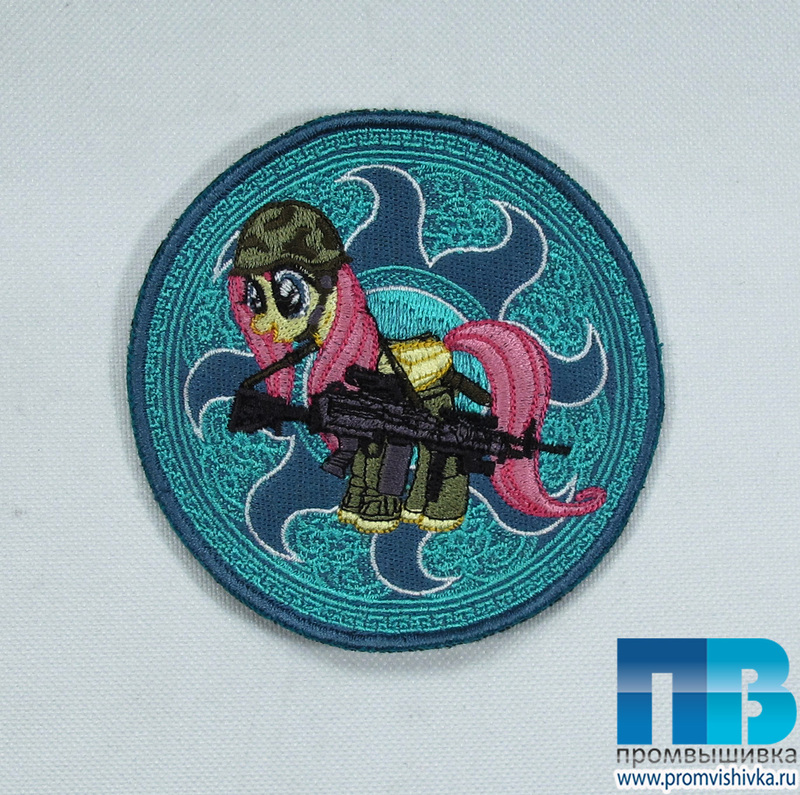 In the army, they denote belonging to the type of army and rank. 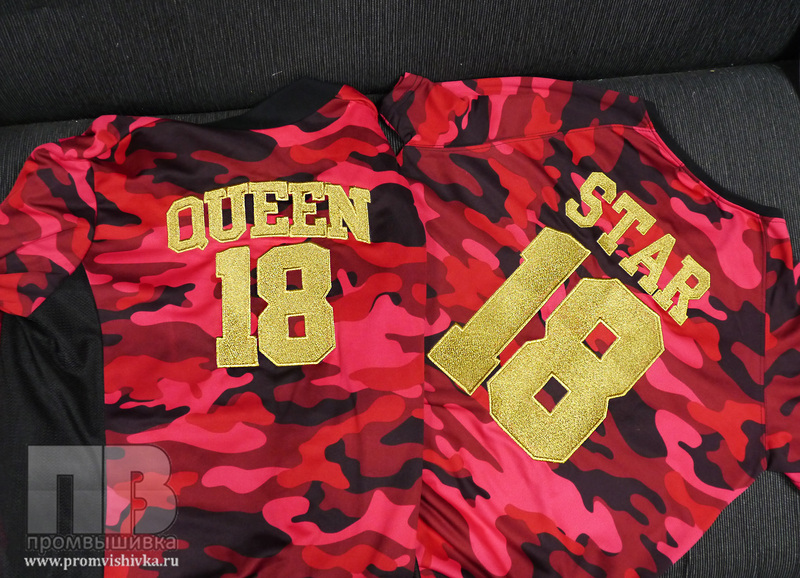 In sport – belonging to team or national team. 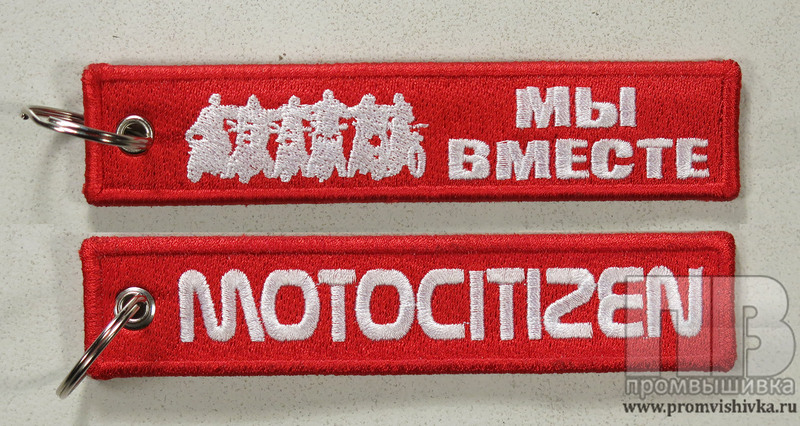 Bikers use patches to demonstrate their achievements. 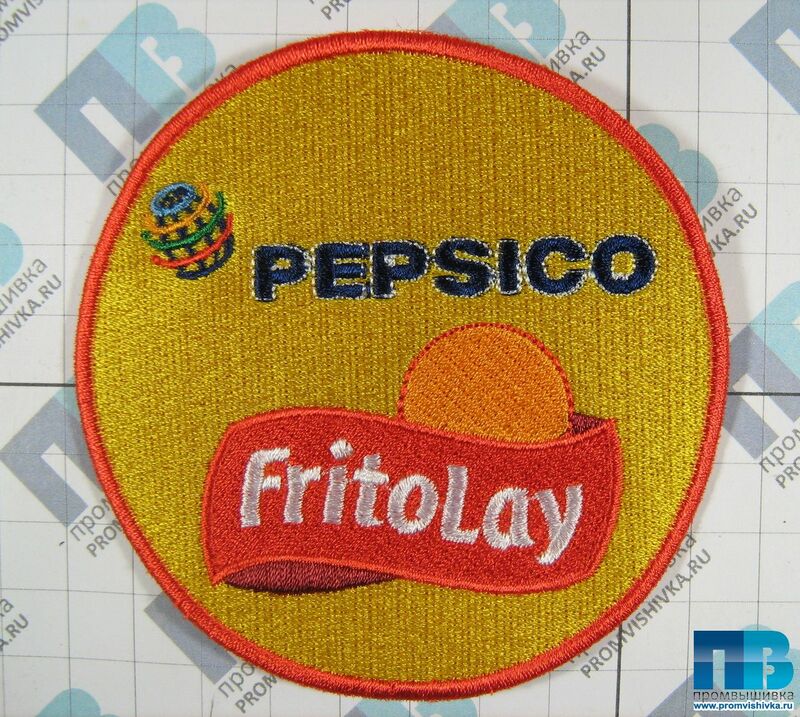 Corporate patches are part of corporate style. 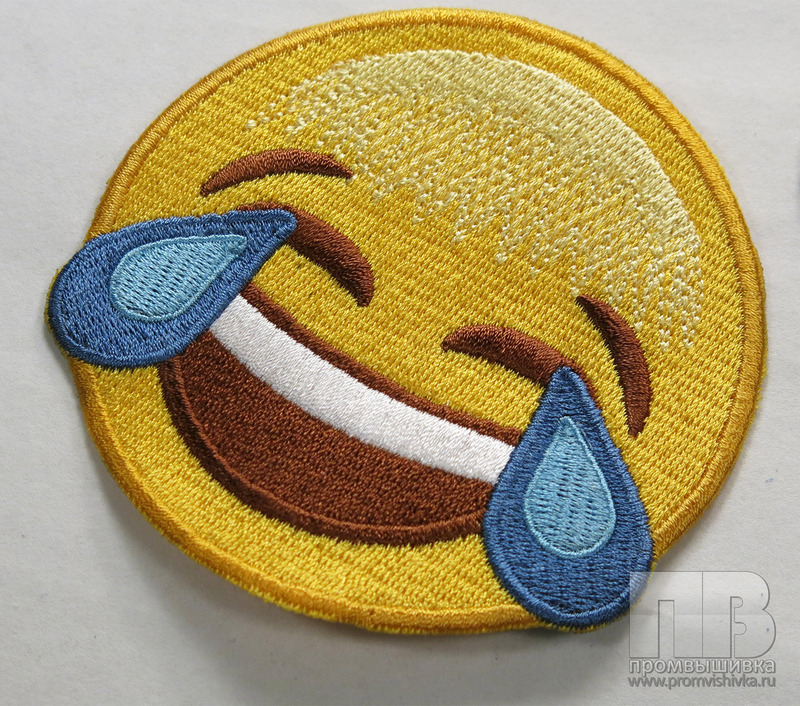 School or university patches increase the prestige of the institution. 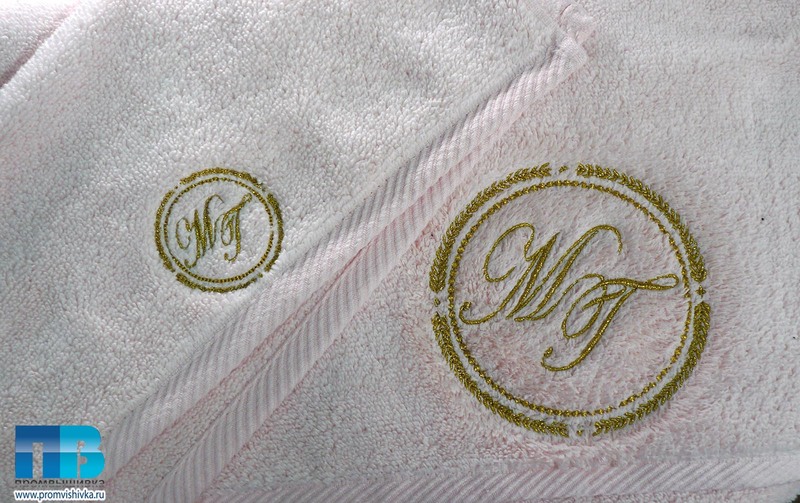 We embroider on towels, blankets, tablecloths, napkins, rugs, pillows, bags, backpacks, flags, ribbons and many other textile goods. 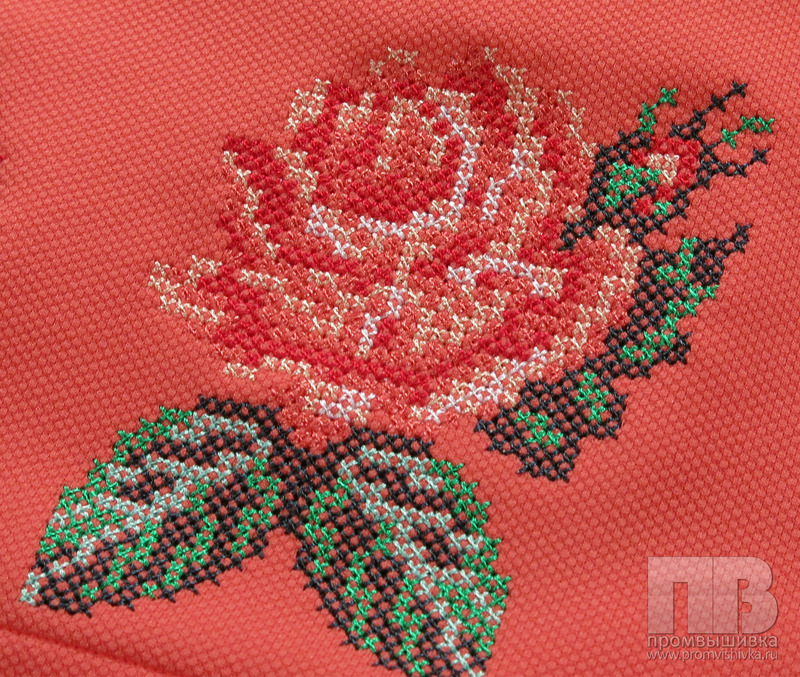 Embroidery on products help to decorate interior. 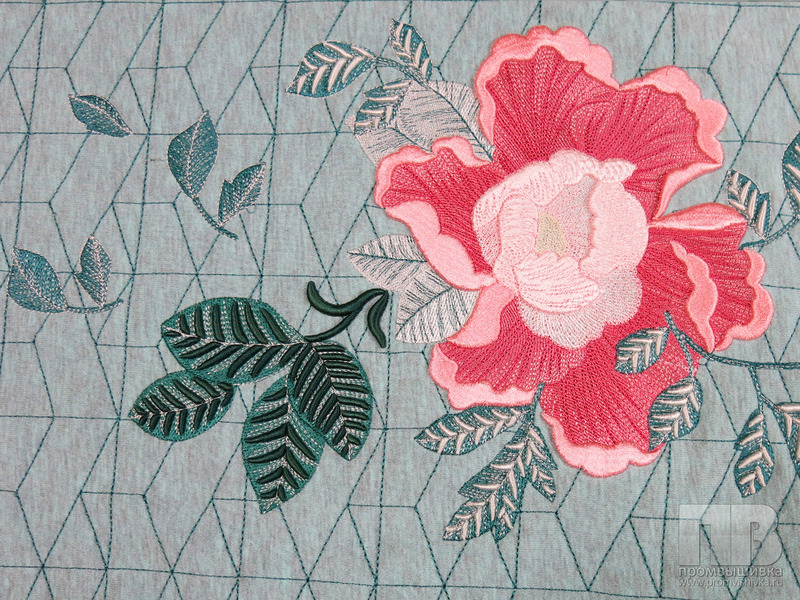 Embroidered tablecloths, napkins and curtains adorn kitchen, and bedspreads adorn bedroom. 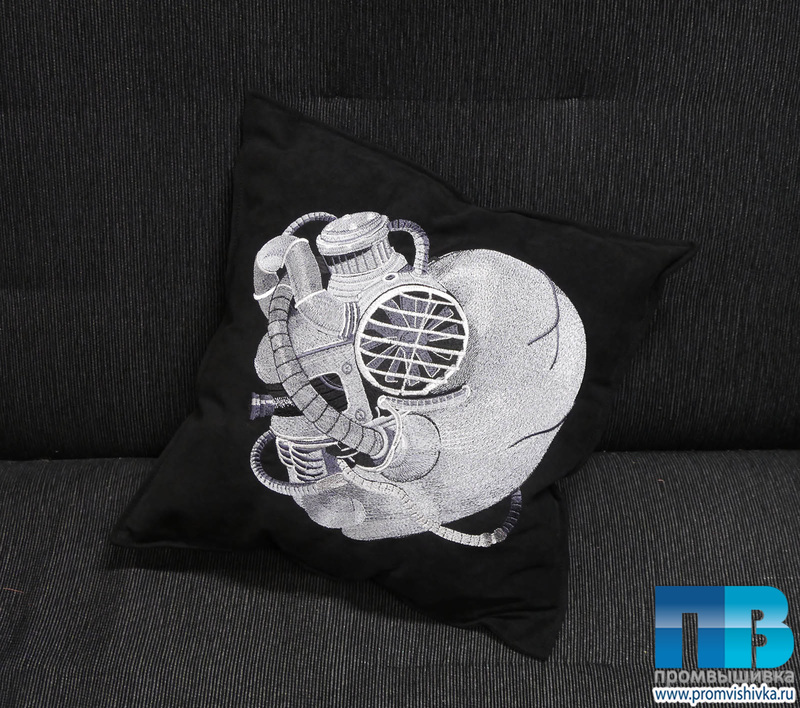 We recommend embroidered pillows and mats for offices. 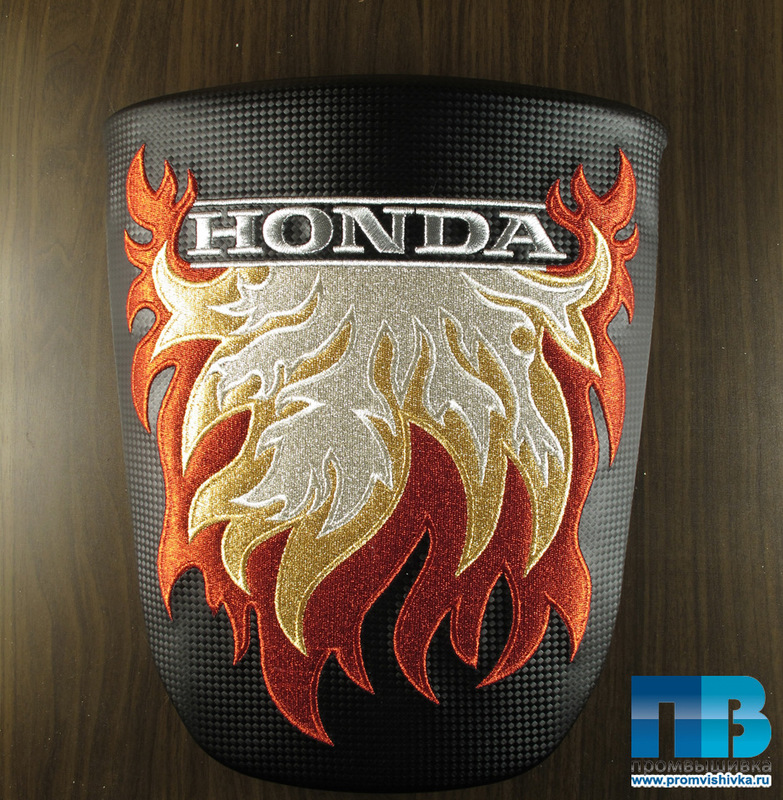 We do embroidery on headrests and other stuffs for vehicle interior. 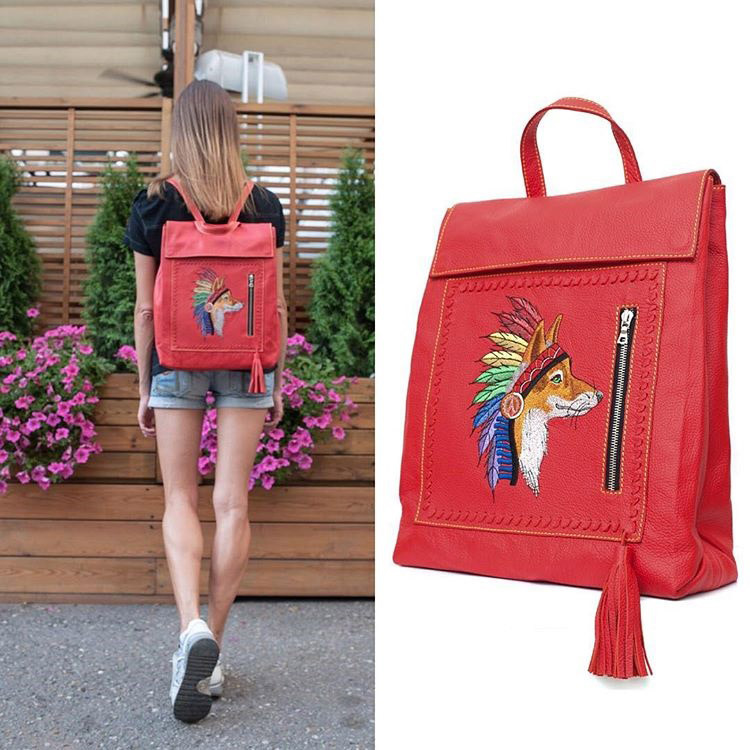 We can offer embroidered bags and covers as an original gift. 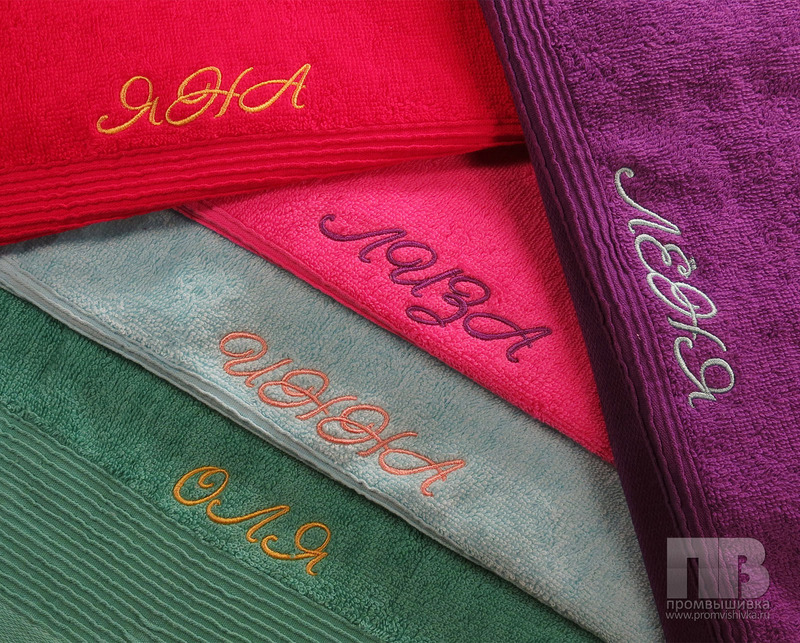 Monogramming is a multipurpose way to create an individual gift. 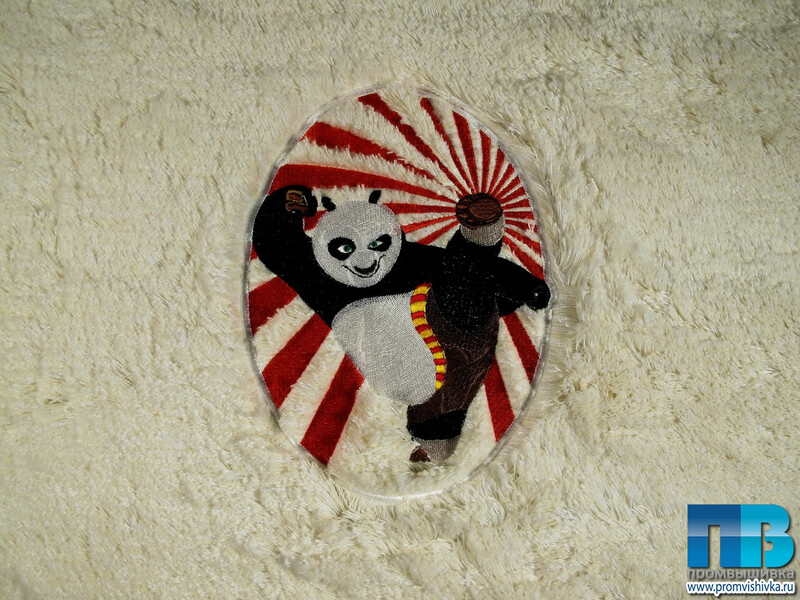 Embroidery on the mat Kung Fu Panda"
We make embroidery on the cut details and cloth. 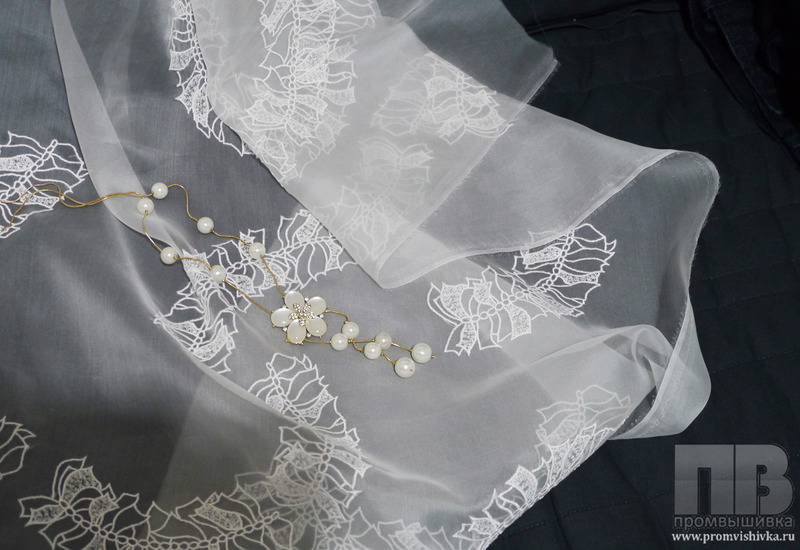 We work with such materials as cotton, linen, satin, organza, velvet, fleece, felt, jeans, leather, knitted or crocheted fabrics and synthetic materials. 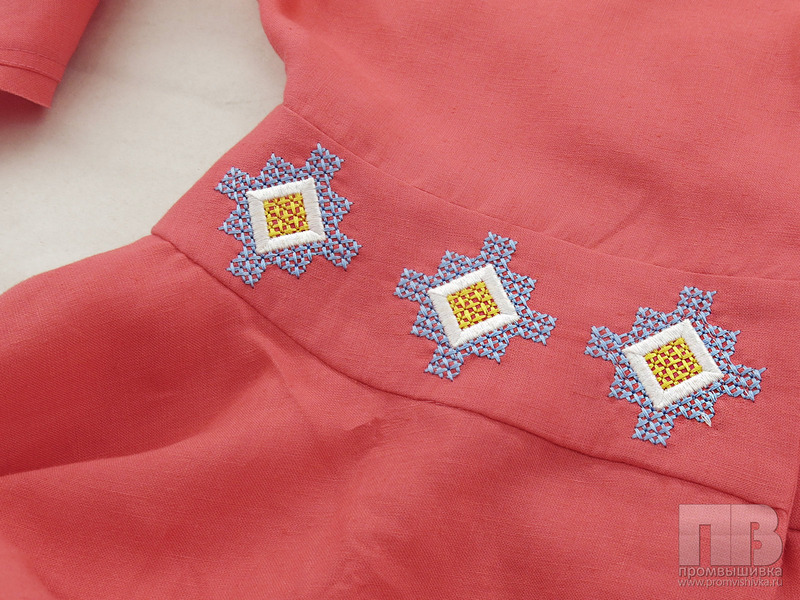 Embroidery on the cut details helps to create unique furniture, wonderful apparel and interesting accessories. 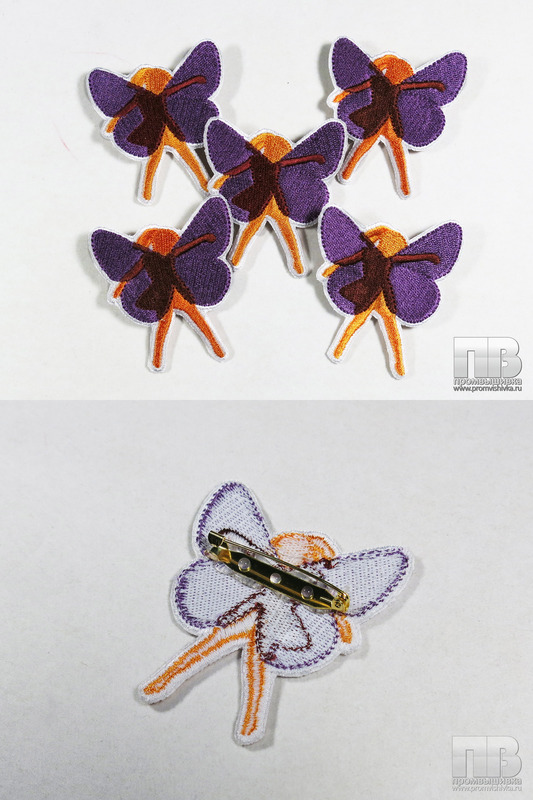 Working with the cut is more convenient than with the finished product, the cut allows you to put embroidery on a large area. 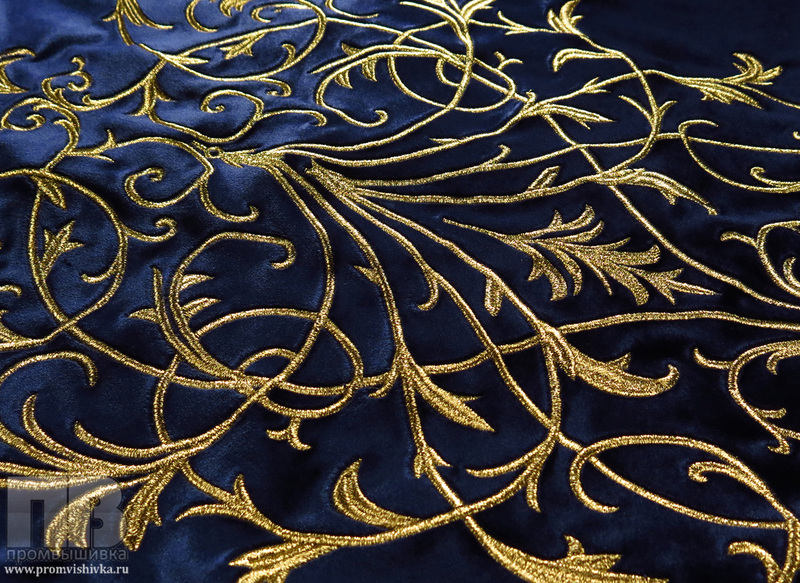 Embroidered fabrics are used for upholstery and drapery, and embroidered leather - for the constriction of the car interior. 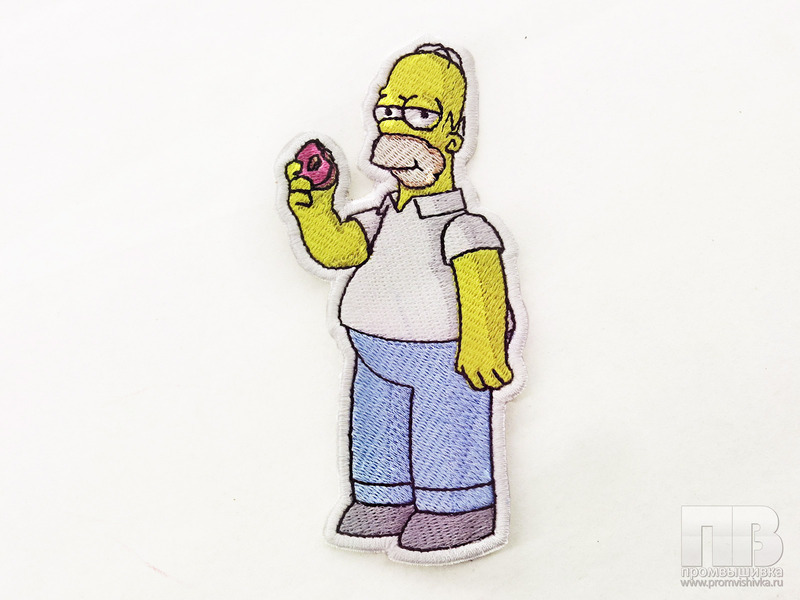 We make embroidered trinkets, magnets, and buttons; also, we make flags and pennants. 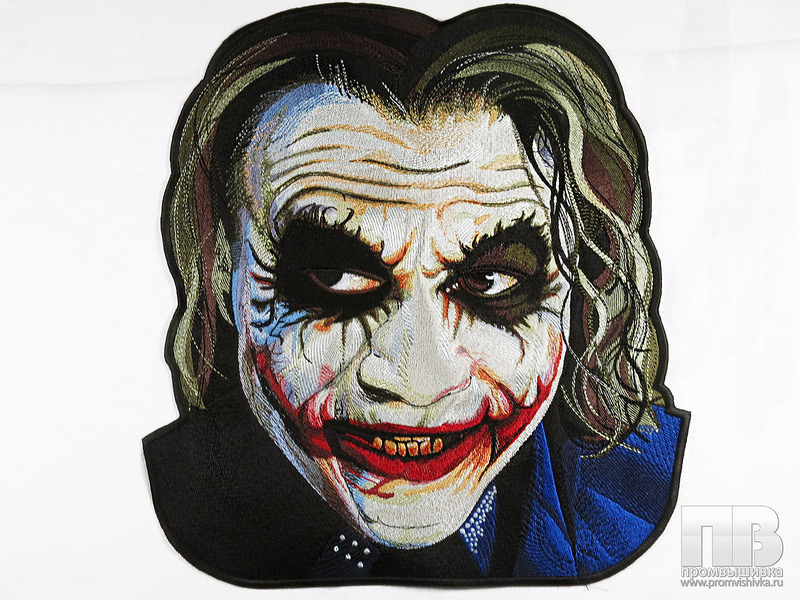 Besides, we offer embroidered pictures and portraits, sewing of pillows and rugs with individual embroidery. 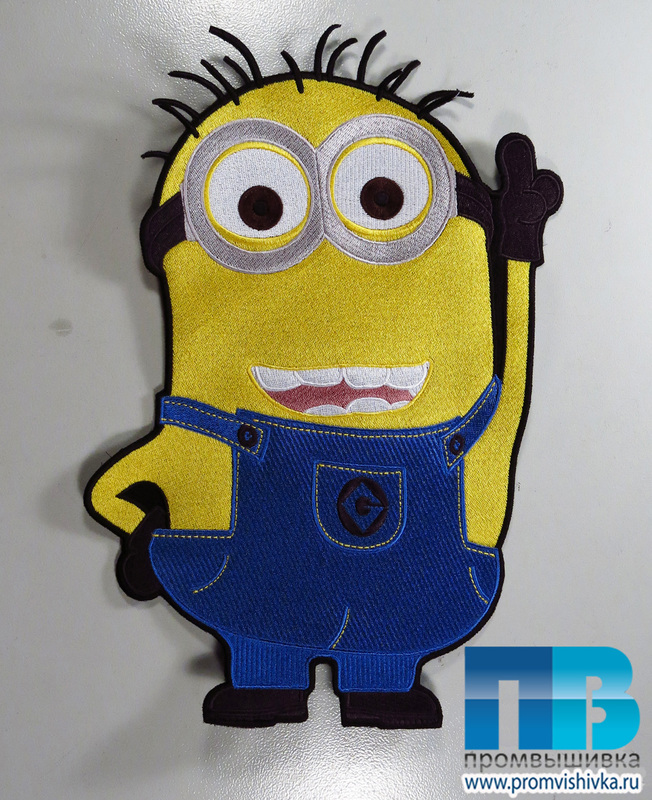 Custom embroidered logo will make them a perfect corporative gift! 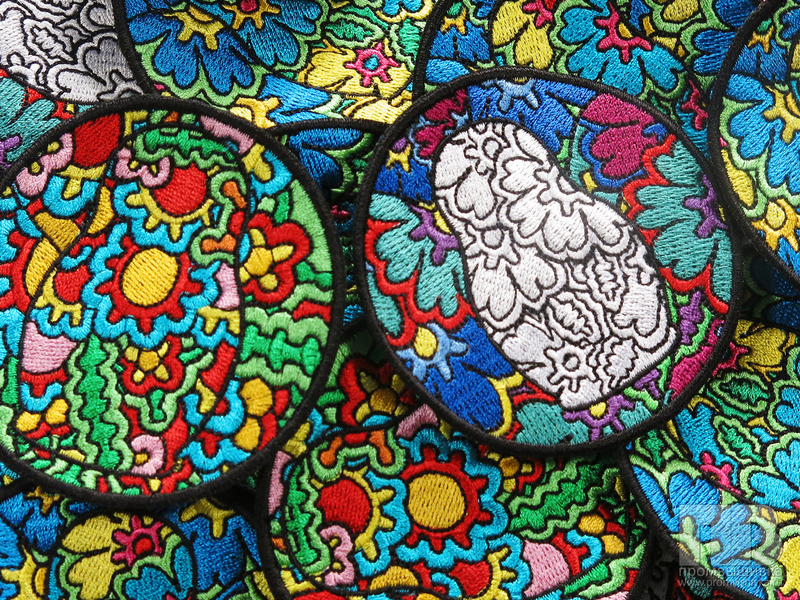 Embroidered souvenirs are used as an unusual individual gift. 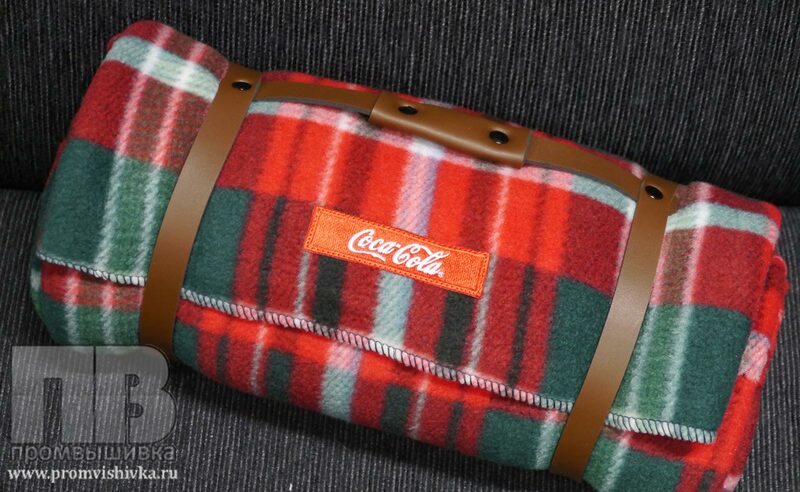 This is a way to express warm feelings for a person, to show how precious and important he is. 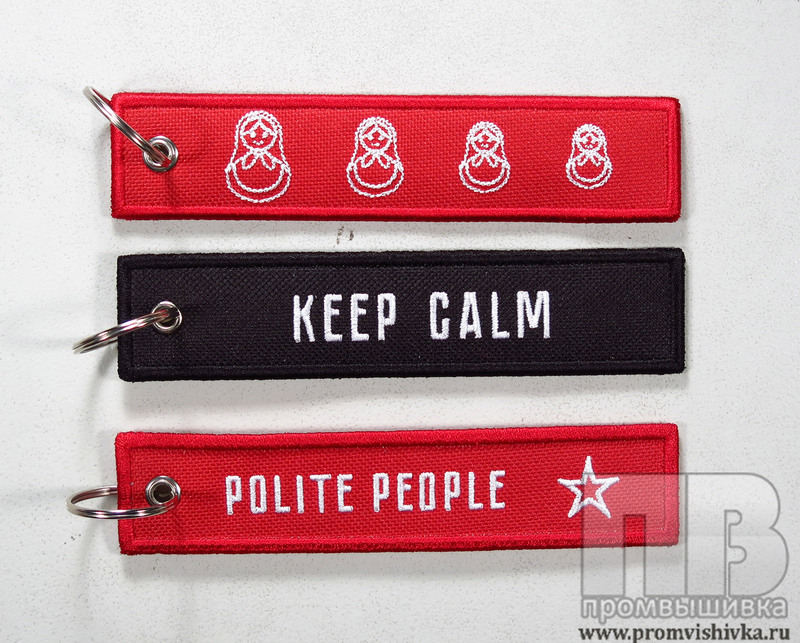 Wholesale souvenirs with the company's symbols raise the prestige of the company, attract attention to it, and distinguish it from competitors. 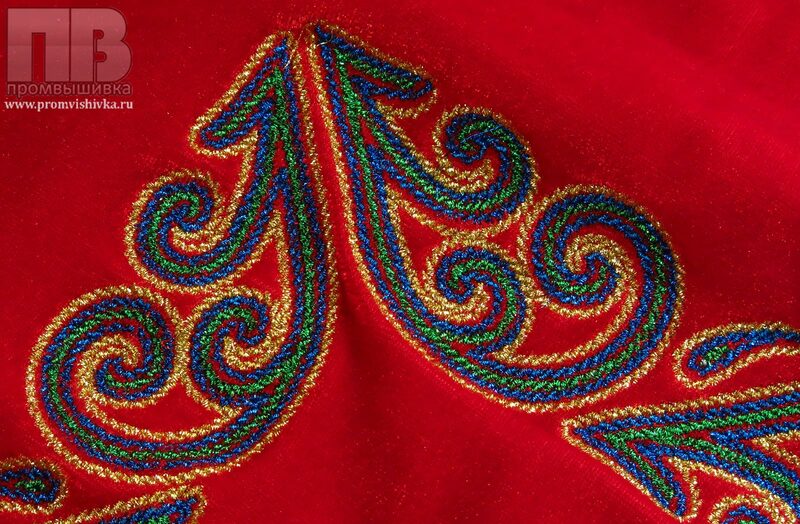 The cost of contract embroidery is calculating individually. 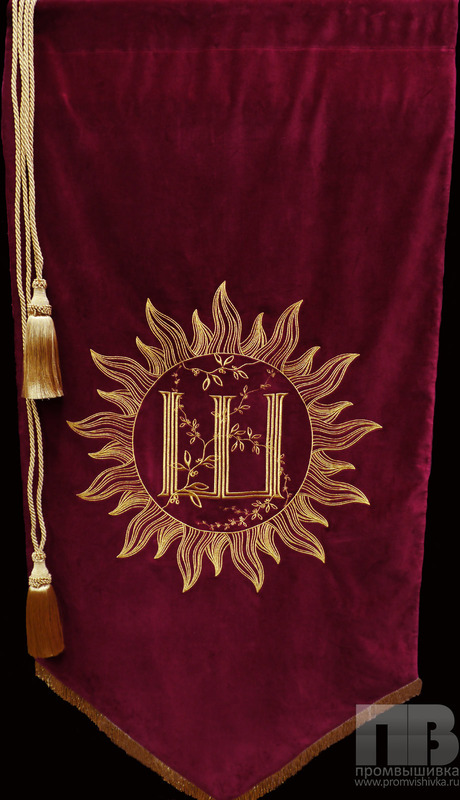 We select a special set of services for the optimal solution of your problems. 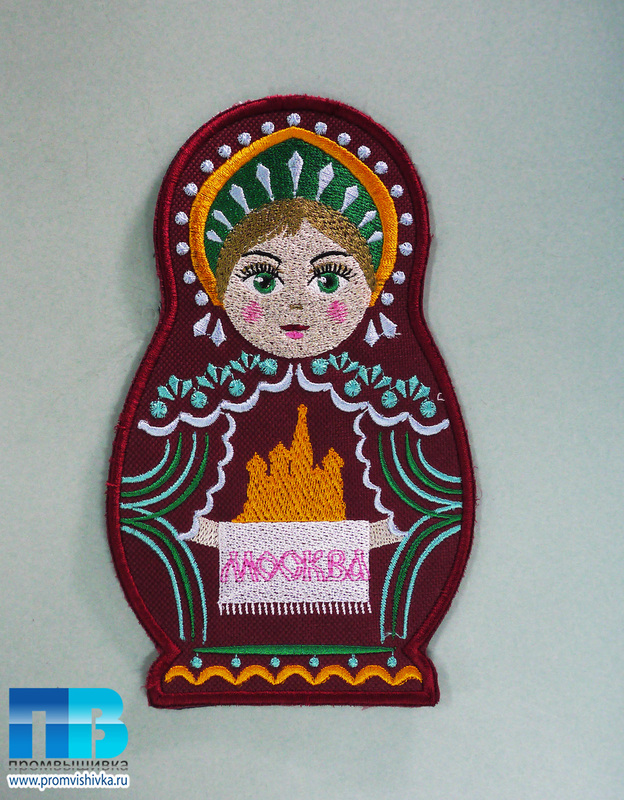 In order to calculate the embroidery pricing, send to info@promvishivka.ru your outline, specify the size, number of copies and wishes. 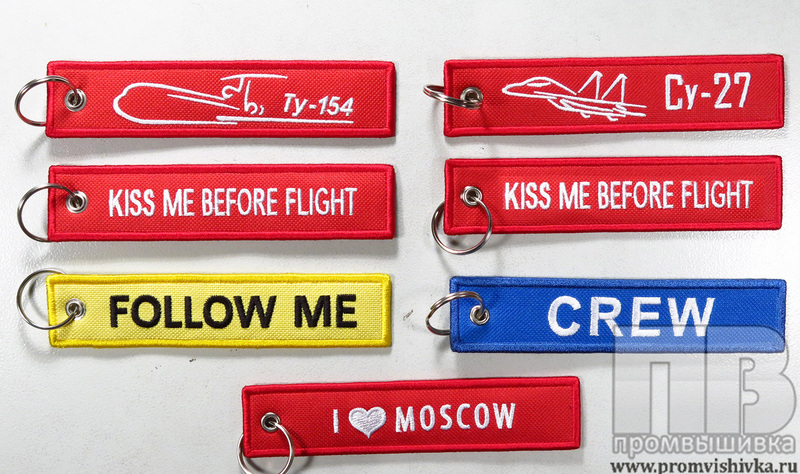 Also, write, if we will make embroidery on your products or will have to buy them ourselves. 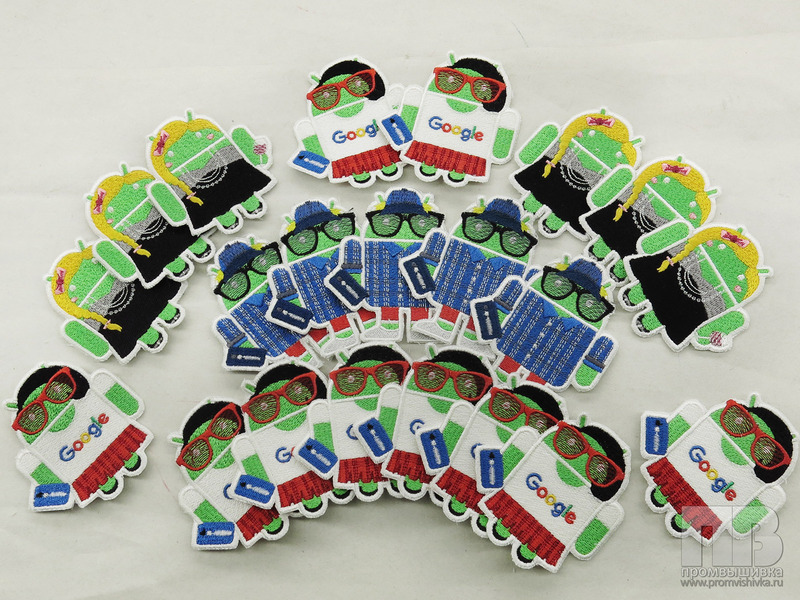 Please see our product catalog and ask managers for price. 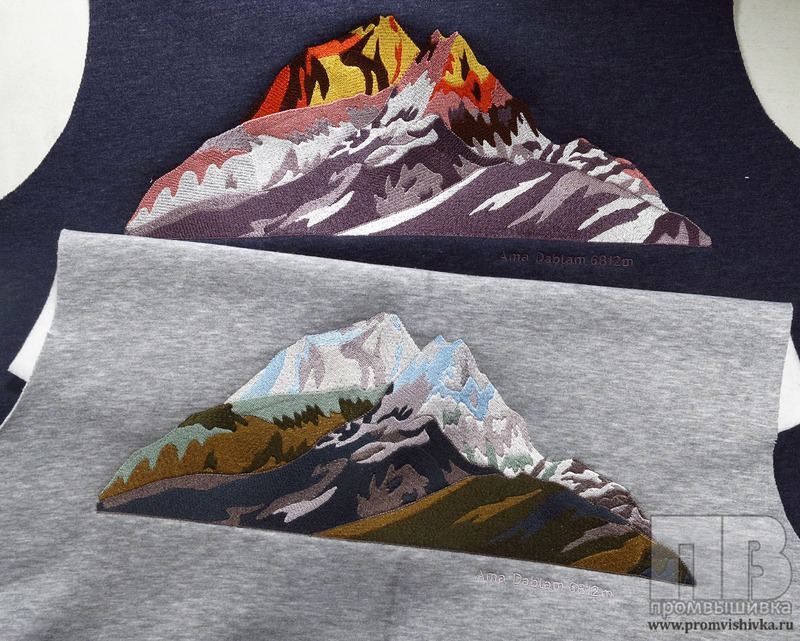 The cost depends on volume of edition. 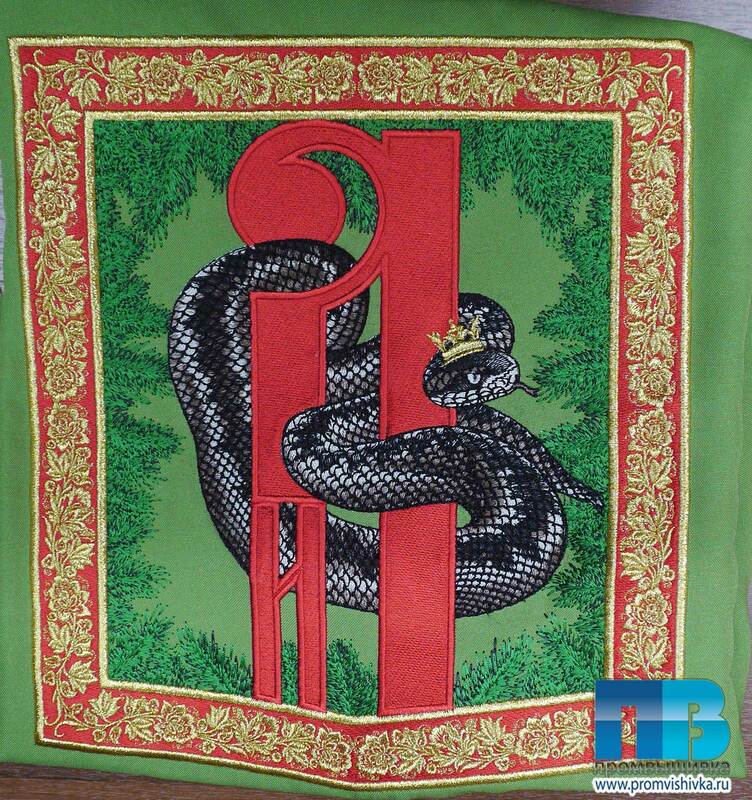 Our embroidery company is in the business since 2007. 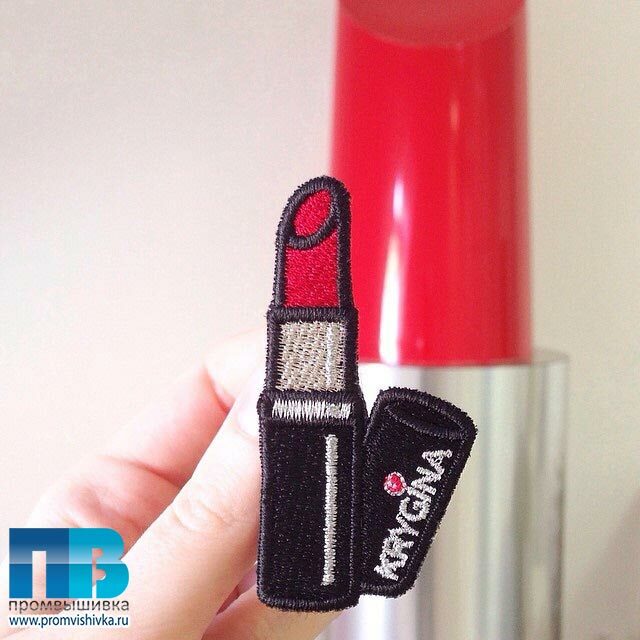 During that time we had thousands of orders from individuals and companies. 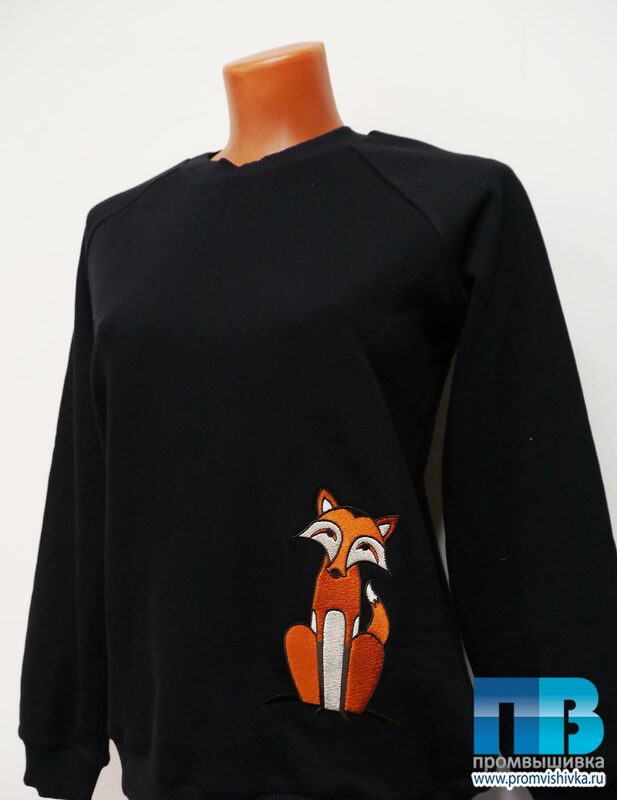 An established clientele like fashion designers, whose collections are shown at fashion weeks in Moscow, Paris and Kiev, order embroidery from us. 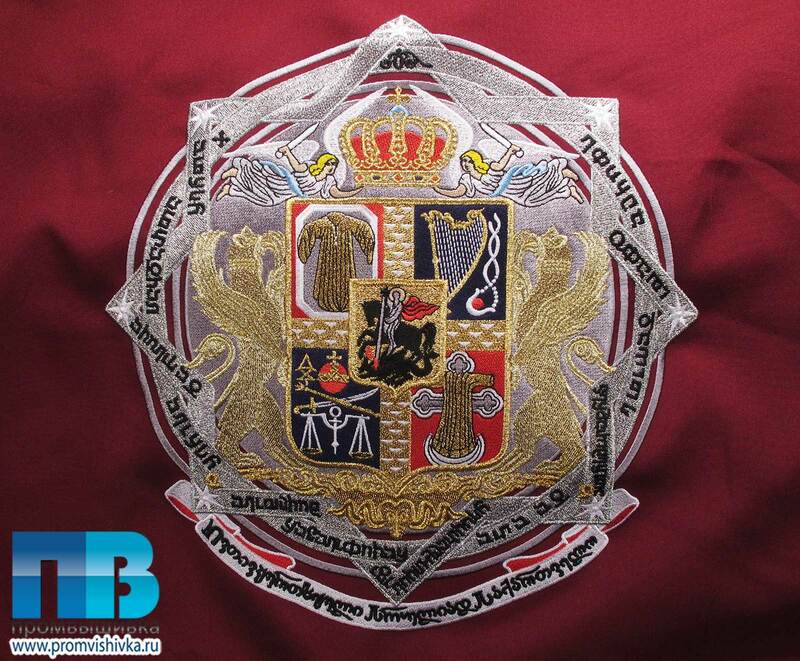 We embroider logos for large companies, both Russian and international. 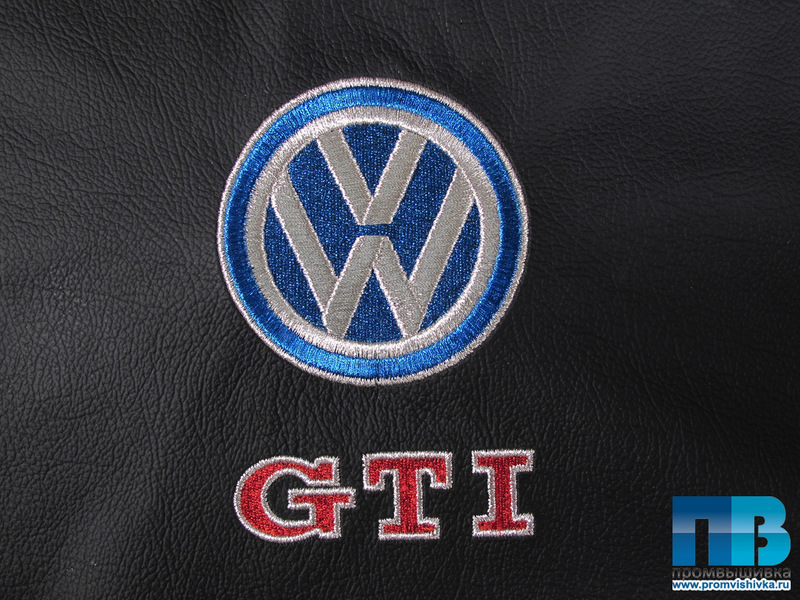 Biker clubs, sports teams, schools and universities, the army and government services, furniture manufacturers and car dealerships are far from a complete list of our customers. 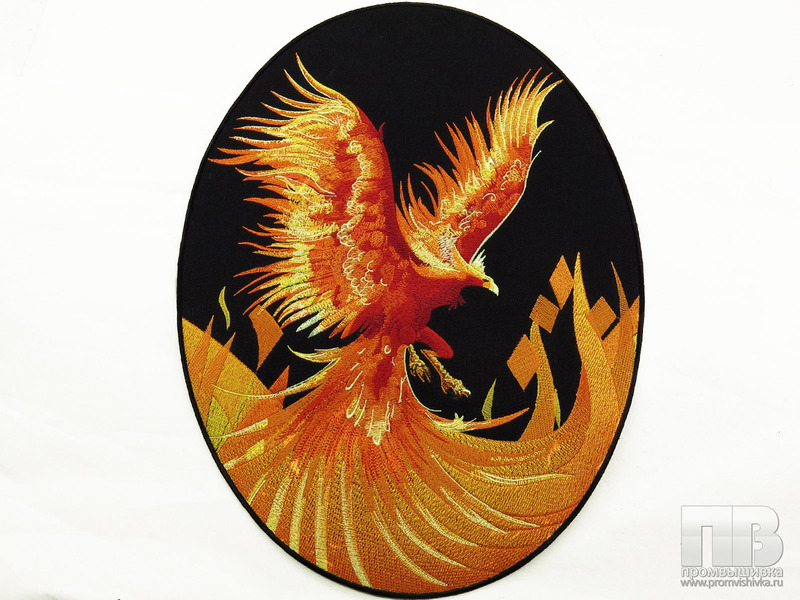 We produce only the highest quality embroidery. 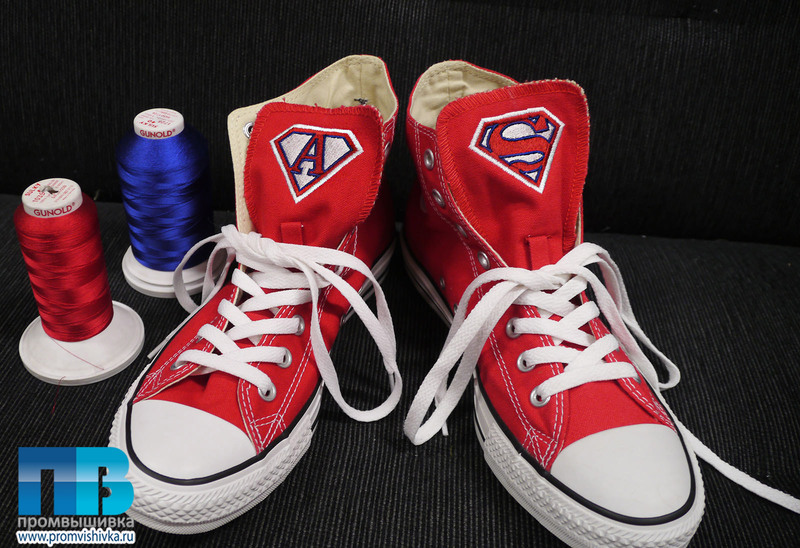 Our quality standards are so high, that people all over the world prefer to order custom embroidery from us, because there is no such embroidery anywhere else. 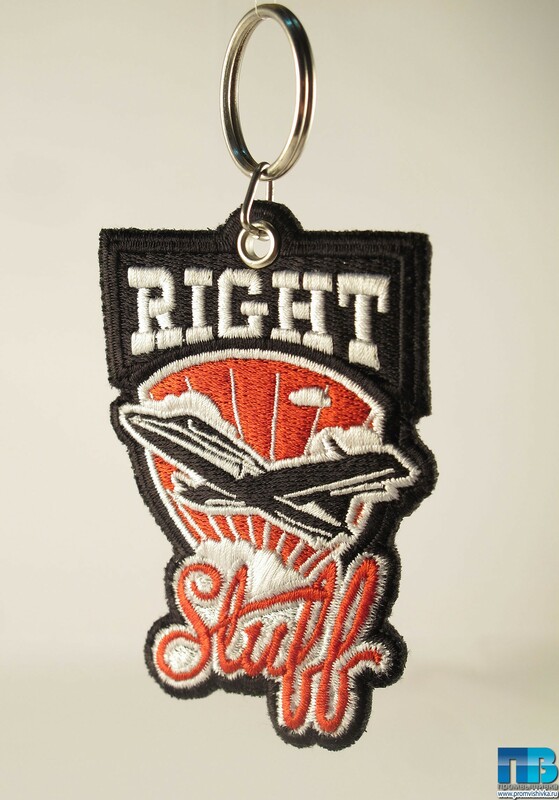 We are a team of professionals. 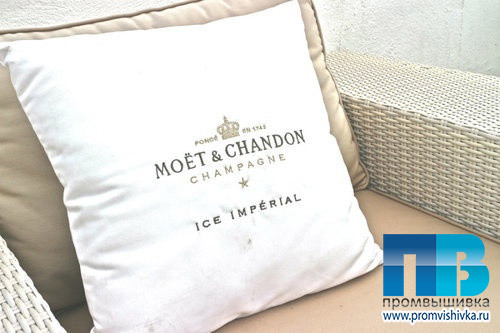 Our managers will offer you options for better implementation of your ideas and will pick up an individual set of services specially for you. 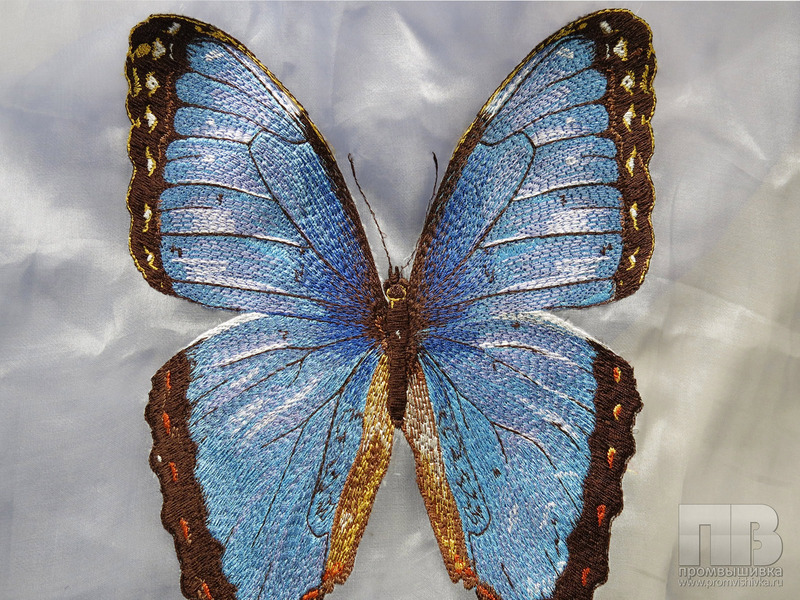 Our professional digitizers have extensive work experience. 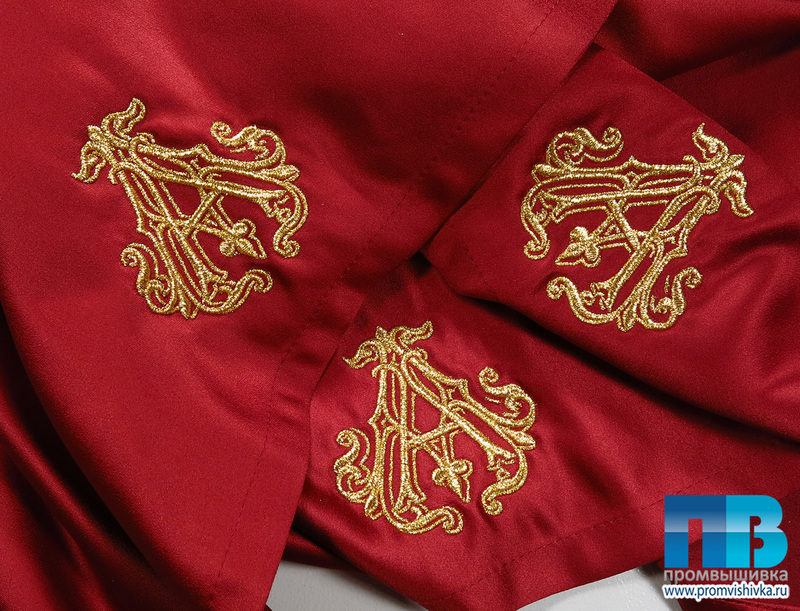 Each design undergoes strict verification for compliance with our signature quality embroidery standard. 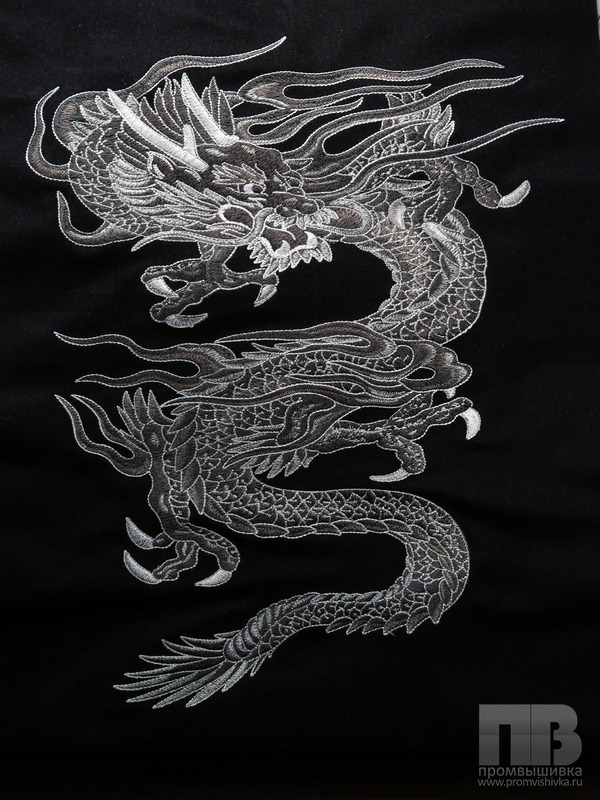 We equipped the production with modern Japanese embroidery machines Tajima. 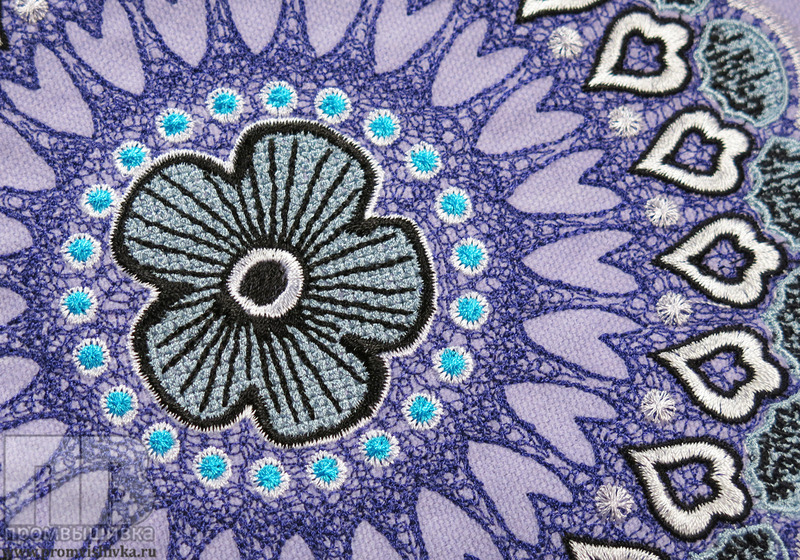 We use viscose embroidery threads from the German company Gunold. 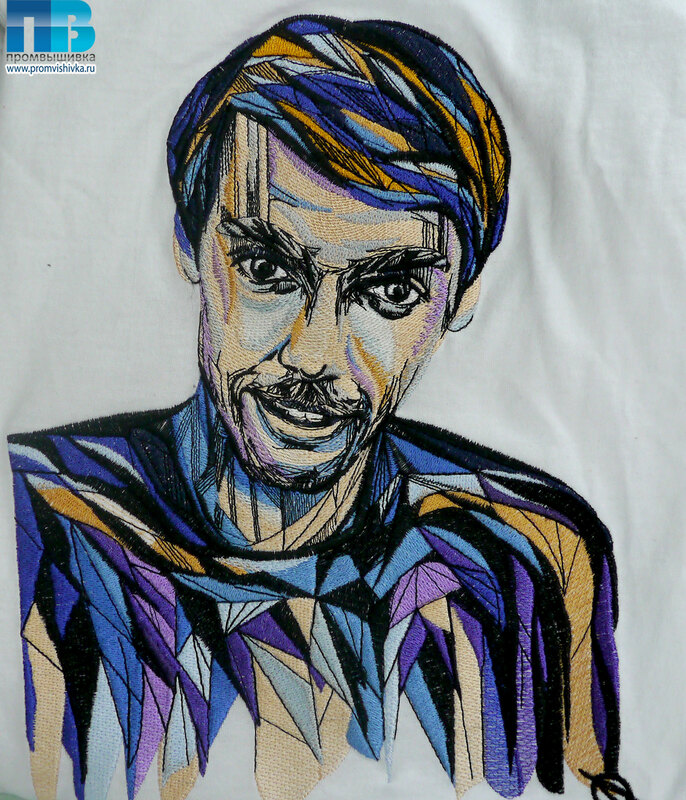 We can use up to 15 colors in an artwork. 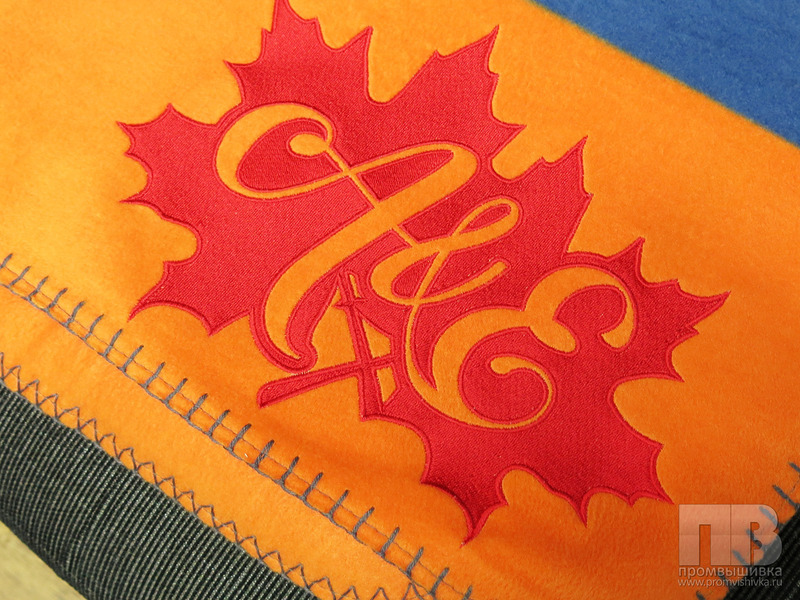 This allows us to make the expert embroidery durable and accurate; our lettering always looks clean and crisp. 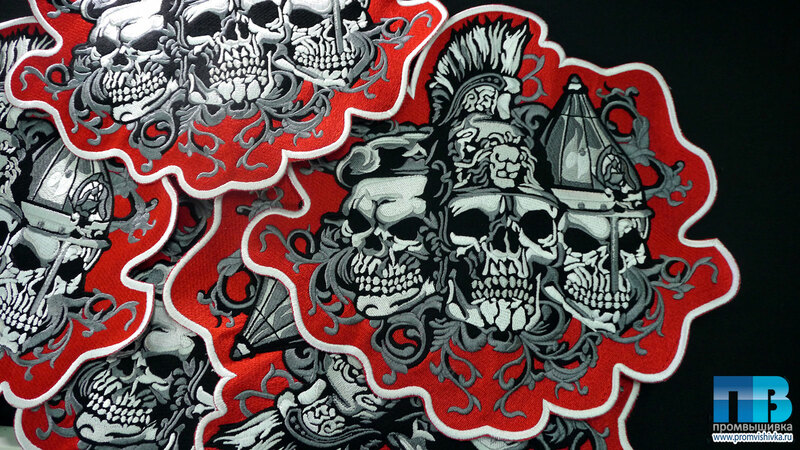 Custom embroidery on a variety of materials.